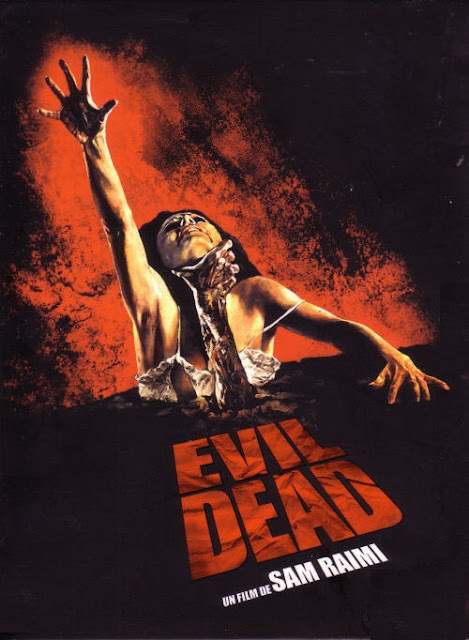 ShockTillYouDrop have gathered some tidbits on the rebooted 'The Evil Dead.' Sony's TriStar Pictures has set an April 12, 2013 release date. Fede Alvarez, who will direct the film, wrote the script with Rodo Sayagues. Diablo Cody did revisions on the draft. Original producing partners Rob Tapert, Bruce Campbell (who also starred in the original franchise) and Sam Raimi will produce. Ghost House Pictures partners Joe Drake and Nathan Kahane will executive produce. Shooting is going to take place in New Zealand, between now and March. In this retelling, five friends hole up at a remote cabin where they discover a Book of the Dead. A demonic force is unleashed possessing each until only one is left to fight for survival. With the "new spin" on the film is the motivation behind the trip, with the lead character taking his younger sister to the family's cabin to help her kick her drug addiction. Without her drugs she becomes insane and difficult to control, which makes it impossible to see that she's actually possessed.